About a month ago, I posted a story about the Iraqi journalist who took off his shoes and hurled them at former President George W. Bush who was attending a farewell press conference in the country. The video of the attack generated major internet buzz and the eager anticipation of what would happen to the reporter also gathered a large following. Well now the sentence is finally out and people have mixed feelings about it. When former president Bush made a surprise visit to Iraq towards the end of hs term, something happened that nobody had anticipated, reporter Muntadar al-Zaidi of al-Baghdadiya T.V. took of his shoes and threw them directly at former President Bush who was giving a speech. In the Iraqi culture, throwing or striking an individual with your shoes is the ultimate sign of contempt and disrespect. And what was Zaidi's reason for throwing the shoes? When he threw them, Zaidi called Mr. Bush "a dog" and shouted "this is for all the womwn, children and inoccents that died!" Zaidi is widley seen through the arab culture as a hero, though is actions have been condemned by the Iraqi government as shameful. 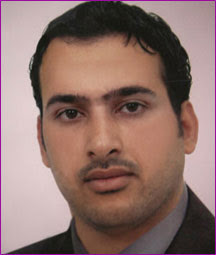 The attack by Zaidi is considered a very serious crime in Iraq. Zaidi was charged with attacking a foreign leader on a diplomatic visit, a crime that carried a 5 to 15 year jail sentance. The offical sentance for Zaidi was greatly debated. Since his arrest, Zaidi's defense lawyers said that he had been beaten and tortured, which is odd considering he looked perfectly fine at his hearing. Zaidi's lawyers argued that Zaidi's sentace be lessened to an attempted assult on a foreign leader considering the fact that tje shpes did not actually hit former president Bush. When Zaidi was first charged, his lawyers deemed the punishment "harsh". They argued that Zaidi did not intend to harm Bush, he only wanted to show his contempt of former President Bush. Relatives and friends of Zaidi who attended his hearing, went with the thought that Zaidi would be free of all charges. When asked by judge Abdul-Amir al-Rubaie if he was innoccent or guilty, Zaidi responded saying "I am innoccent. What I did was a natural response to this occupation." After everything was said and done, the judges asked everybody to leave the court room and deliberated for 15 minuets. As a increasingly frustrated crowd waited outside the decision was made. Muntadar al-Zaidi was charged with the attempted assult of a foreign leader and sentenced to three years in prison. When news of the results reached Zaidi's family, some of them began to cry and shout insults at the judges. The shouted things like "It's an American court! ", "He's a hero! ", "Down with President Bush! ", and "God is great!" News of the attack was seen worldwide and in a poll for BBC and ABC, 62% of Iraqis shared the feelings of Zaidi's family, calling him a hero while 24% considerd him a criminal and another 10% considered him both a criminal and a hero. Although being attacked by Zaidi, former President Bush did not hold any hard feelings toward the individual. Bush described the incident as "weird, "interesting", and "unusual" but insisted he didn't harbor any ill feeling about the incident. Bush also added that "It was amusing - I've seen alot of wierd things during my presidency, and this may rank up there as one of the weirdest." Like I said in my earlier post about this case, it upsets me. I find it ridiculous that this man is praised as a hero not only in Iraq, but in many countries all over the world. I do not feel this way because the man is from Iraq. If the tables were turned, if an American reporter threw shoes at a foreign leader, that man would be locked up in Guantanamo Bay, beaten, and hailed as a terorrist all over the world, bringing shame and more hatred on America just because it was an American that did it. But because someone from a country other than America did it, well lets drop everything and hoist up on our shoulders and give him praise because he s a great man. This entire thing is ridiculous and in my personnel opinion, Muntadar al-Zaidi deserves what every he gets and should count himself very luck that all he got was 3 years in jail because I think he deserves the 5 to 15 year sentence. Let’s Follow the Ohio State Patrol! From Windows Live Search to Kumo Spider Cloud?